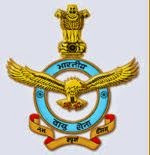 HQ Training Command IAF Recruitment 2018 – 09 LDC & Draughtsmen Posts:– Head Quarters Training Command, IAF has issued notification for the recruitment of 09 Posts of Lower Division Clerk and Draughtsmen. Interested & eligible candidates can apply in prescribed application format within 30 days from the date of publication of advertisement in the Employment News. For Lower Division Clerk : 12th Class or equivalent qualification from a recognized Board or University. Typing speed of 30 wpm in English or 25 wpm in Hindi on the manual typewriter, or Typing speed of 35 wpm in English or 30 w .p.m. in Hindi on a computer. For Draughtsmen: Matriculation or equivalent qualification from a recognized Board or University. Two years Diploma in Mechanical Drawing or Civil Engineering or Mechanical Engineering or Electrical Engineering or Draughtsmanship (Mechanical or Civil from the Industrial Training Institute or equivalent recognized Institution). Last Date to Submit Application Form :Within 30 days from the date of advertisement. How to Apply: Interested eligible candidates can send their application in prescribed format along with all necessary documents to concerned Stations/Units within 30 days from the date of advertisement. Subscribe our Free Job Alert Mail Service for HQ Training Command IAF Recruitment 2018.